I don’t suppose that many people know John Suchet is a decent amateur trombonist. The elegant voice of Classic fm, in the mornings has played since a boy. 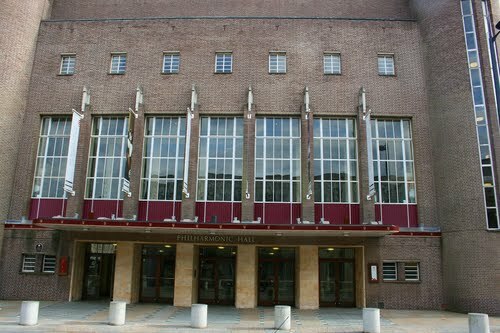 I do reckon plenty of folk out there, DO know the the Royal Liverpool Philharmonic Orchestra opens it’s doors, once a year, to welcome amateur musicians from far and wide to swell it’s ranks. The ‘SuperOrchestra’ is taking place in June this year, Saturday 15th 9.30am to be more precise. This event has been taking place annually since 2000, and has proven to be a runaway success. it is a chance for the public to join the orchestra, be rehearsed by a professional conductor, and perform a concert later in the day, after having the opportunity to socialise with the players at lunch time. Regular readers will know that the RLPO has just finished the latest recording for the magnificent German soprano, Diana Damrau, on the prestigious Virgin Classics label. 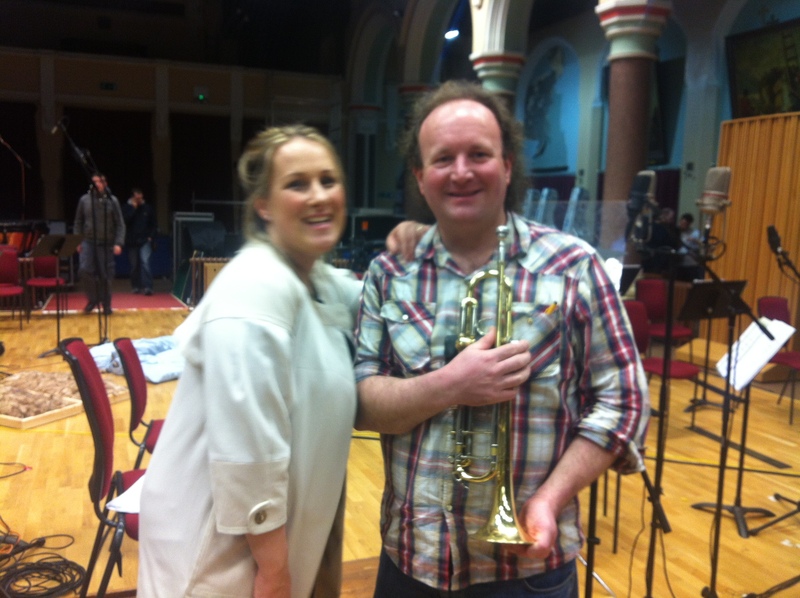 Ms Damrau was a joy to work with and most generously laid on a post recording party for everyone. The RLPO were the first orchestra in the UK to be sponsored by Classic fm, a corporate partnership that has been in place for about twelve mutually profitable years now. 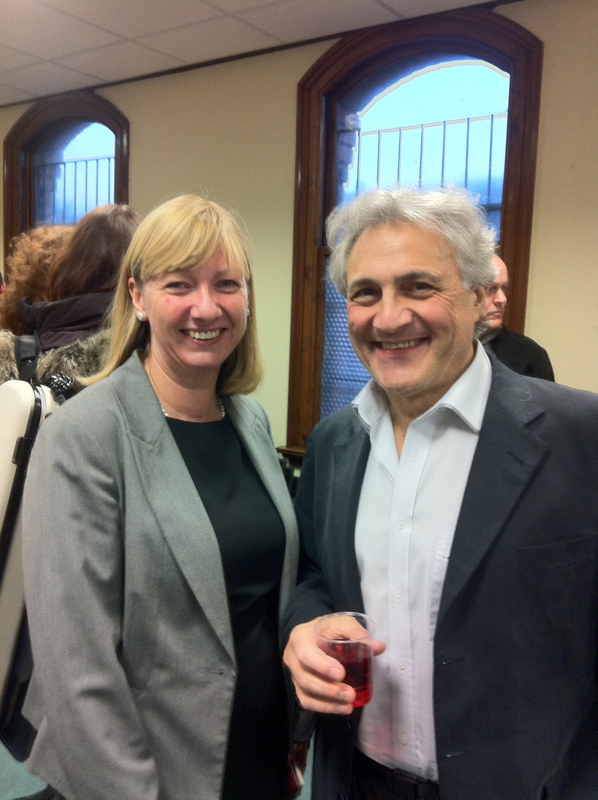 John Suchet, a regular guest presenter with the RLPO these recent years, and classic fm host in the mornings, was in Liverpool to present our upmarket series of festive concerts, ‘The Spirit Of Christmas’. John decided to attend the recording sessions and subsequent reception, and enjoyed himself thoroughly. After a few glasses, and a mince pie or two, John was telling the brass section all about his trombone playing days. We casually mentioned that it would be great to see him become a member of ‘SuperOrchestra.’ Well, that was it! Before we new it, John had booked his trombone in for a service at Phil Parker Ltd, booked his room at The Hope Street Hotel and announced all on the UK’s most popular classical music radio station, that he was going to blow the cobwebs out of his trombone and make his concert debut with the RLPO. Good man John! 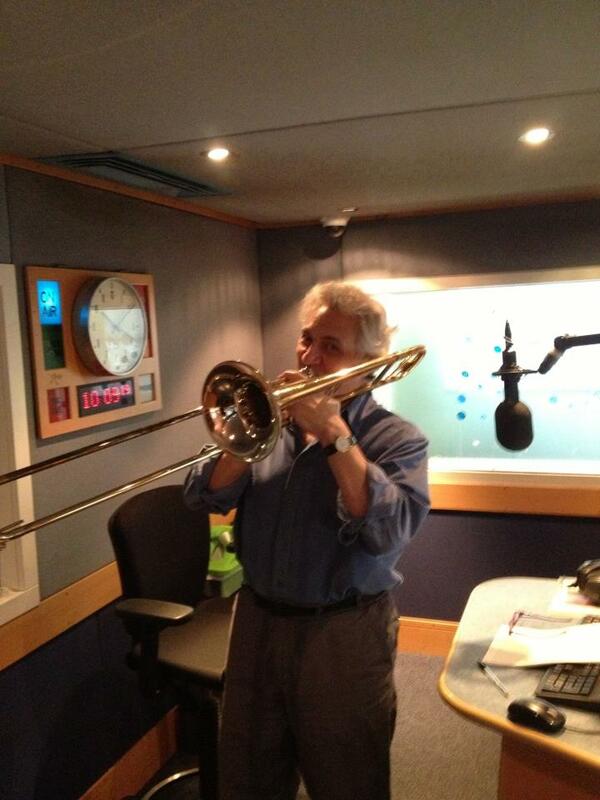 John Suchet, having a blow in the Classic fm studio! This entry was posted in About Brendan Ball, The Brass Section, The Tour Blogs & Brendan's Solo Blogs and tagged "Royal Liverpool Philharmonic Orchestra", 'Brendan Ball', 'RLPO', Classic fm, David Suchet, Diana Damrau, John Suchet, Liverpool Philharmonic Hall, Phil Parker Ltd, Sandra Parr, Superorchestra, The Phil, Trombone, Virgin Classics. Bookmark the permalink.